Am back with some cards... yep made 3 in 1 day!! Here's my first card and i took and evening to get this doen and ask me why? I saw the gorgeous PDCC 96 challenge colours and that's what got me going! but my Mojo was missing and i went to check the superb Mojo Monday Challenge sketch!! And it took me almost an hour to decide which PP to use!! Then i opened my lately cquire DCWV Mango Frost 8 by 8 stack. The PP are to die for! I wanted to make a birthday card for the Spoonful of Sugar Challenge. Since i added a flutter it goes to yet another fav challenge - Flutter by wenesday and those Pretty Pie lane Glitters cant be missed! And that get me an entry into the Charisma Cards challenge! I also wanted to enter this for ICR challenge celebrations but i guess i used some stamping. Though is just a sentiment am not sure if it allowed to have aBg even in watermark. :( I kinda forgot about this one rule. No worries :) So here is my card. I kinda like the way it turned out :) did you notice i distress the paper edge of the blue PP :) What say? beautiful color combo... Blue and red...! 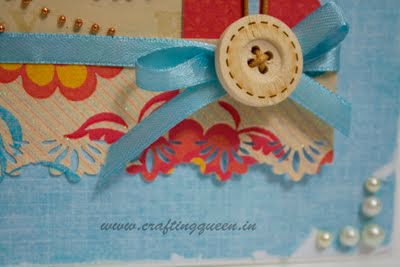 very pretty and lovely layout for the card! 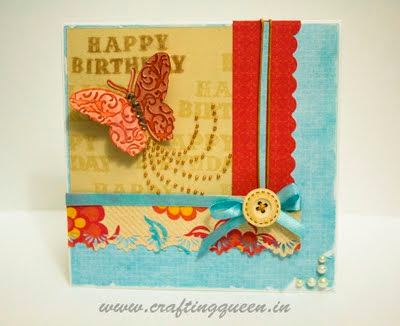 wow this is so pretty love that embossed butterfly and those glitter balls trail,fab colors too. Karuna you are a master at techniques-- I always peer closely at your cards to see what all you have done! The butterfly is the best feture. Aww i like this! Great colours used and sweet little butterfly. Gorgeous color combo Karuna, love that butterfly! super fabulous! ICR has allowed only sentiment stamp, you can enter this one there! Such a pretty little card! Love the little butterfly trail. Thanks so much for joining in the fun with us this week over at The Play Date Cafe! That embossed butterfly is GORGEOUS! LOVE your bold take on the color story! Thanks so much for playing along with us this week at The Play Date Cafe! very pretty! love the layout of the card (very different! ), and those are fabby colours! thanks so much for playing along at Charisma this week, and good luck! 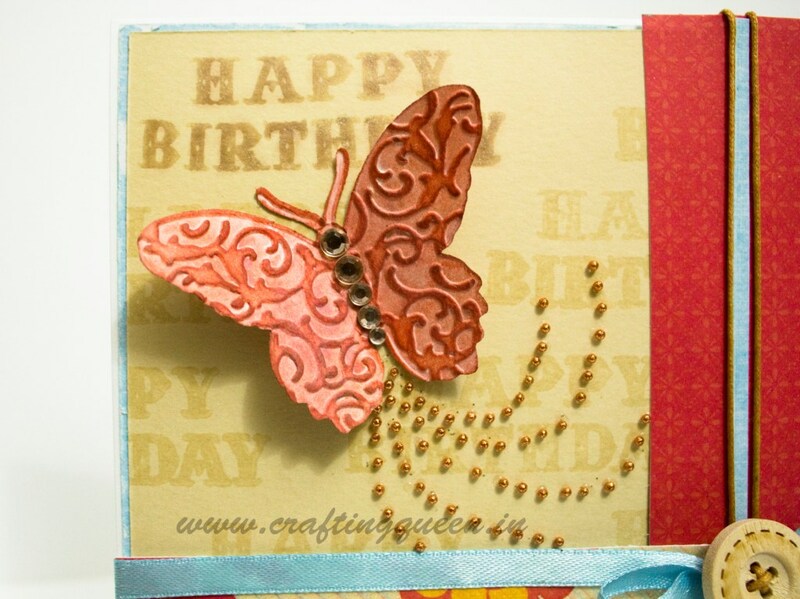 I love the embossing on the butterfly and the colors in this card! It is truly fabulous! You are truly talented.. Loved this.. 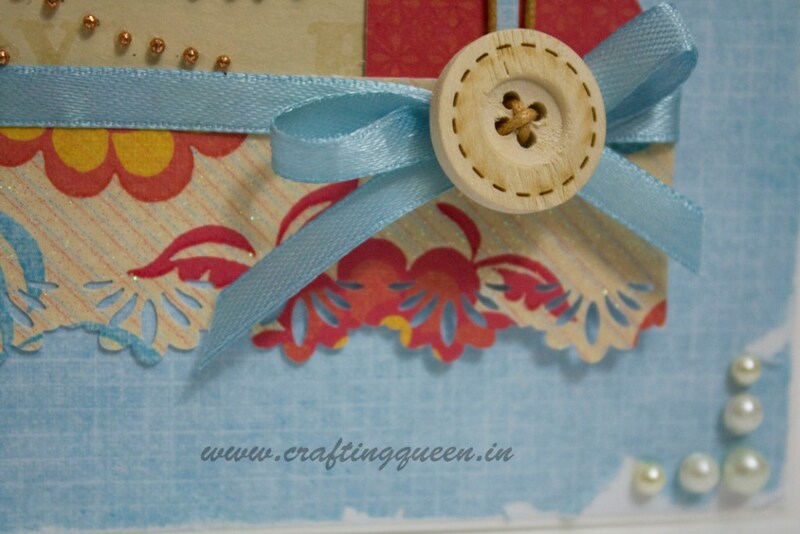 Please do join the weekly party at my blog.. Would love for you to share your ideas.. and cards with us..